When a wrongful death occurs, it means that a victim has passed on due to the negligence of another party. The victims surviving loved ones or dependents may bring legal action against the third party in the pursuit of fiduciary reparation corresponding to the liability of the third party’s action. Every state in the United States of America allows differing approaches on how wrongful death may be pursued. What works in another state could very well be the exact wrong strategy here. According to California legislation, the following points must be proven in the lawsuit for the victim’s survivors to receive financial reparation. The death was caused by misconduct or negligence of the defendant. The extent of the surviving beneficiaries’ damages in terms of finances, pain and suffering, etc. Who are the Beneficiaries in a Wrongful Death? California beneficiaries’ standing is determined according to what is known as an order of precedence. 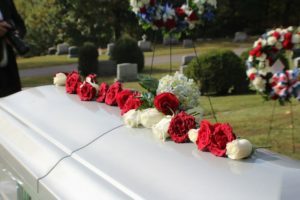 The immediate family including a spouse and surviving dependants are the first in line for benefits paid out for wrongful death. The spouse and surviving dependants share a single claim for damages and cannot lay multiple claims for a single case. The victim’s parents, siblings, the children of deceased siblings, grandparents, and then their dependents are next in line. Minors who lived with the deceased victim and received at least 50% support from the victim, at the time of the victim’s death, are the last who may claim damages in a wrongful death case. The minor must have been a part of the deceased’s household for a minimum of 180 days before the victim’s wrongful death for their claim to be valid. It is not enough to prove negligence and that the person suffered damage. That is because most people don’t have sufficient funds to pay those damages unless they are insured against the accident, or if the accident was the responsibility of a business. In California, if your automobile insurance lapses and you are in an accident, even if it is the other person’s fault, you may only collect special damages including medical expenses and loss of earnings. This does not pertain to general damages or emotional/mental distress. For those seeking fair compensation, only the best legal counsel will suffice. Large corporations, insurance companies, and other defendants often have significant resources at their disposal, and it takes a knowledgeable, skilled, and committed professional team to pursue them with legal action. At Kamran Yadidi Law Group, we have handled over 10,000 cases just like this for our clients, and have won a staggering 98% of the time. We have secured nearly $200 million in reparations for our clients because we fight aggressively in the name of justice and the pursuit of our client’s wellbeing. Let the professionals at our organization provide that same level of care for your case. Not all lawyers are the same. Our team has made a name for themselves in wrongful death representation because we know how to work through the legal system and with insurance companies in the most efficient way possible. We have handled over 10,000 personal injury and wrongful death cases with a success rate of 98%. For skilled and passionate representation, there is no better choice than Kamran Yadidi Law Group. We have earned almost a quarter of a billion dollars through successful litigation to serve our clients and change their lives for the better. An important aspect of working with us is that we work on a contingency fee basis, which means that we don’t get paid until you do. This allows us to provide top-notch legal support that rivals legal representation to people from all walks of life. We believe that everyone deserves the best legal representation and we strive to give you just that. Should you have reason to claim a wrongful death, the next step is to acquire legal representation to advise your case and take it to the proper authorities. Wrongful death cases are often extremely complex and they can be extremely intimidating to just about anyone. With our proven track record of 98% success in over 10,000 wrongful death and personal injury type cases, Kamran Yadidi Law Group is here to walk you through all aspects of the process. We have succeeded in recovering hundreds of millions in damages for our clients. That’s because we are passionate and knowledgeable about what we do. Contact us today for a free consultation or call us at the phone number above.